Back on the train, I proffered my return ticket to the guard and asked him if I could break my journey at Acklington, continuing later on the evening train. “Yes, of course,” he replied. His body language added, but why would you want to? I was, again, the only passenger. I got a very real feel for this train’s place in the railway pecking order when, shortly after leaving Alnmouth, we were shunted into a loop for ten minutes to allow an East Coast express to overtake. It roared past, the turbulence from the gleaming silver coaches rocking my diminuitive train from side to side. 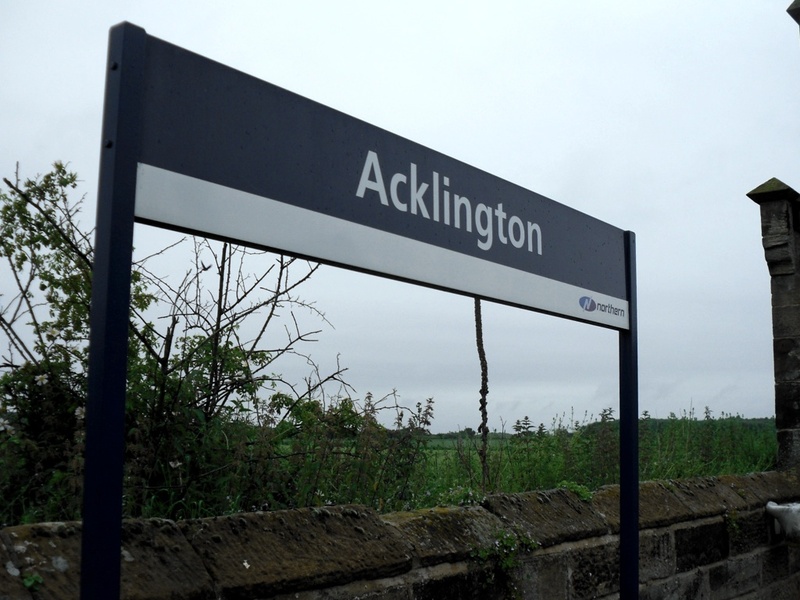 Eventually, we resumed our southbound trundle and were soon slowing for the stop at Acklington. I had a feeling that, with the niceness of Chathill, I might have peaked too soon, and I was right. 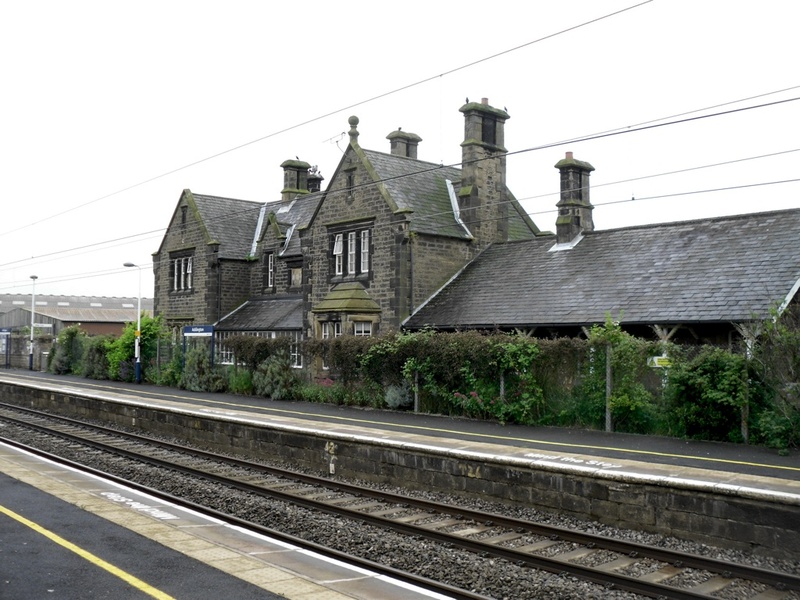 Acklington has a similar imposing station building, but this one is now fenced off from the platforms. 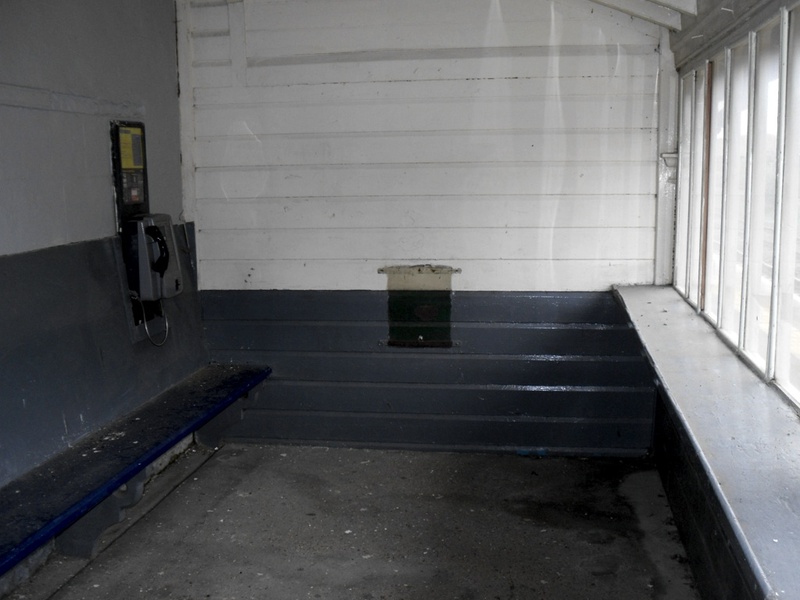 The waiting room is clearly of the same design as Chathill’s, but here there was no charming railwayana on display, just a lot of accumulated dirt. Welcome, watchers! Doesn’t it seem an age since the last time? Well, not for me perhaps, but you all look distinctly older. OK, thanks Treguard, but I’ll take it from here. 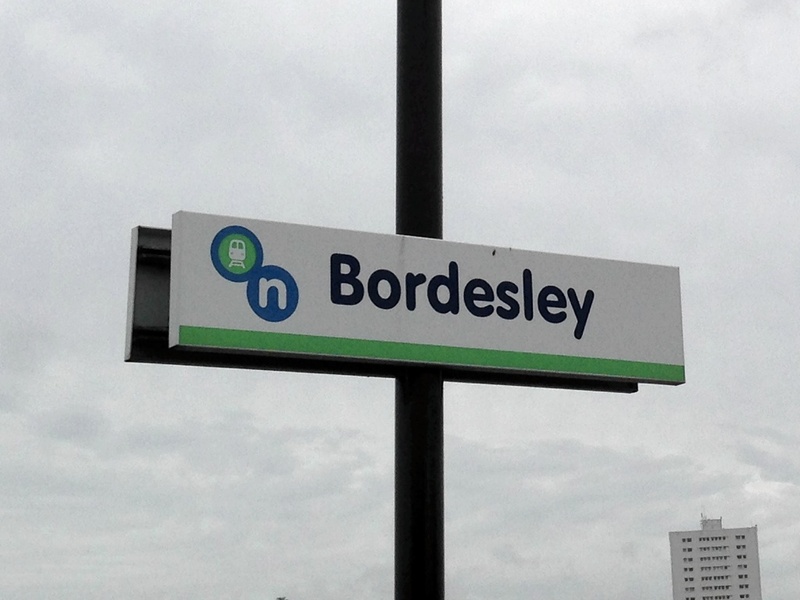 It has been eight months since I gingerly ascended the steps of Bordesley station. 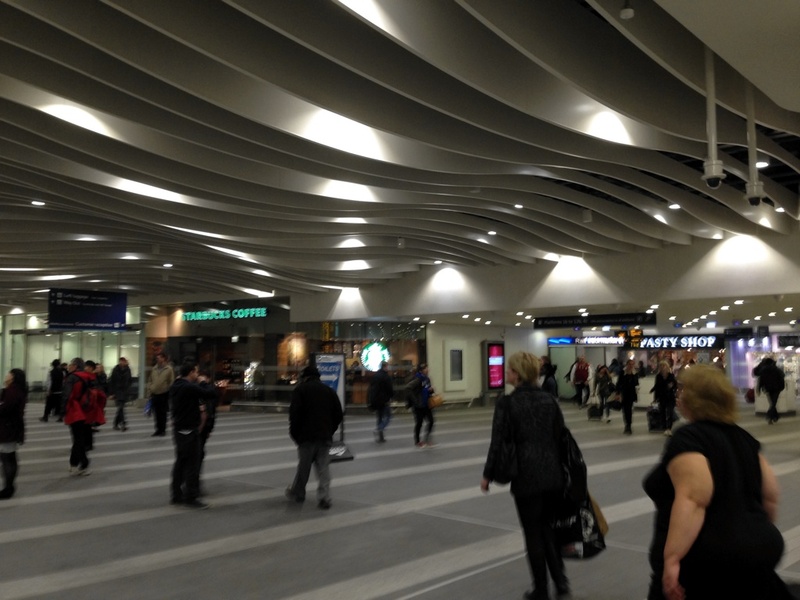 This big gap in station visits wasn’t planned, but unfortunately that unpleasant thing known as “real life” intervened. I am working full-time and also studying at the Open University, so evenings and weekends have been increasingly taken up with school work. 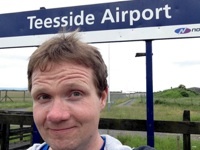 There’s also the other issue that most of the easy stations – the ones I can get to via an easy day trip; the low-hanging fruit, if you will – have been ticked off. 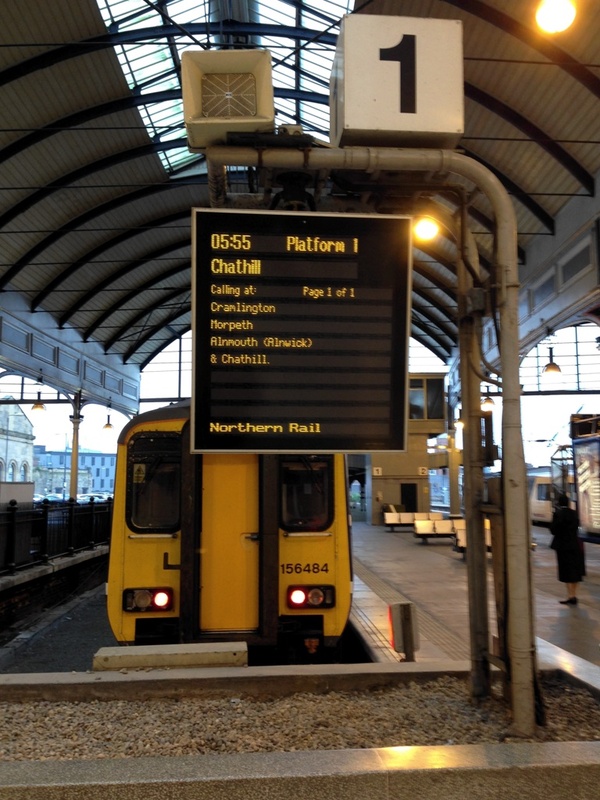 Most of my future visits are to stations where the only train service is early in the morning, or late in the evening, or otherwise unsuitably timed for a connection from Liverpool. This means hotel stays, which adds to the expense. Wondering where Part 1 is? It’s over on my personal blog. 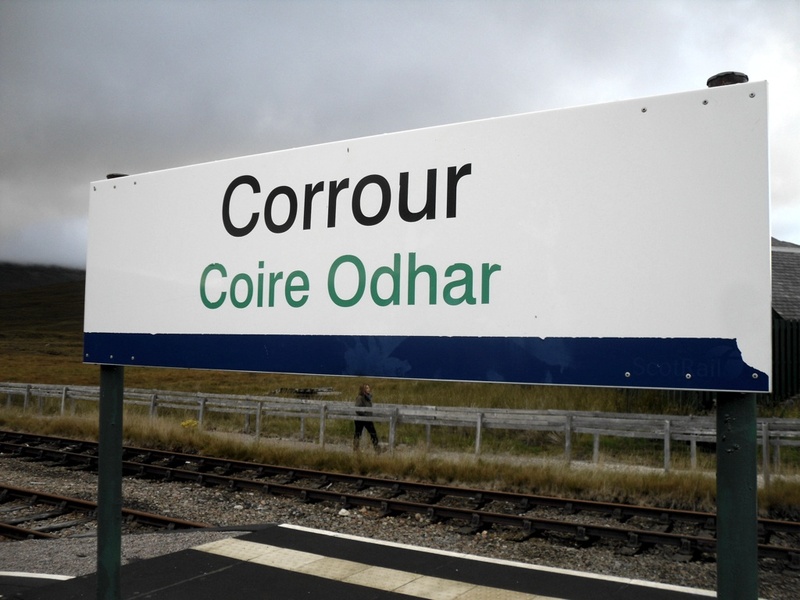 Corrour was opened with the line in 1894, giving access to the Corrour Estate. The landed gentry would arrive for fun-packed holidays of deer stalking and grouse shooting – to this day, the Caledonian Sleeper makes special provision for people travelling with firearms. More recently, it has become a popular station with walkers, who start and end their long rambles in the countryside here. 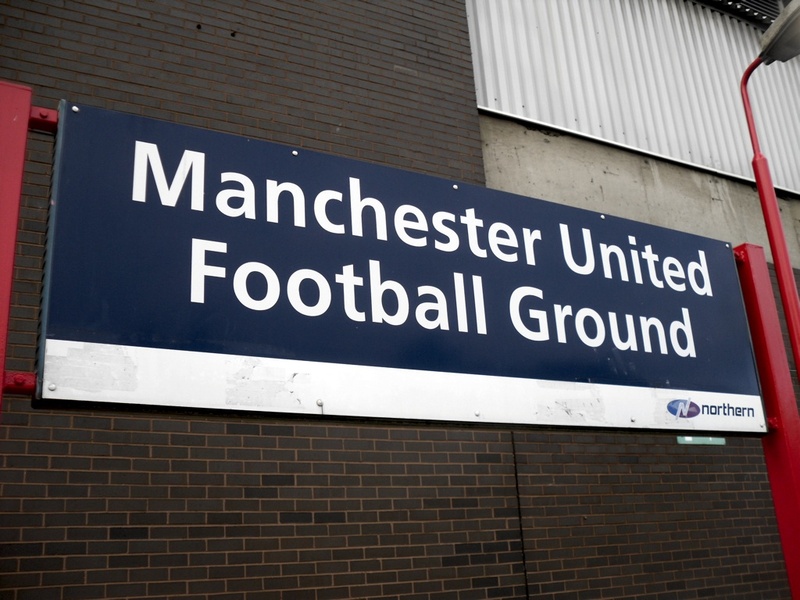 In the 1990s it became famous for another reason. 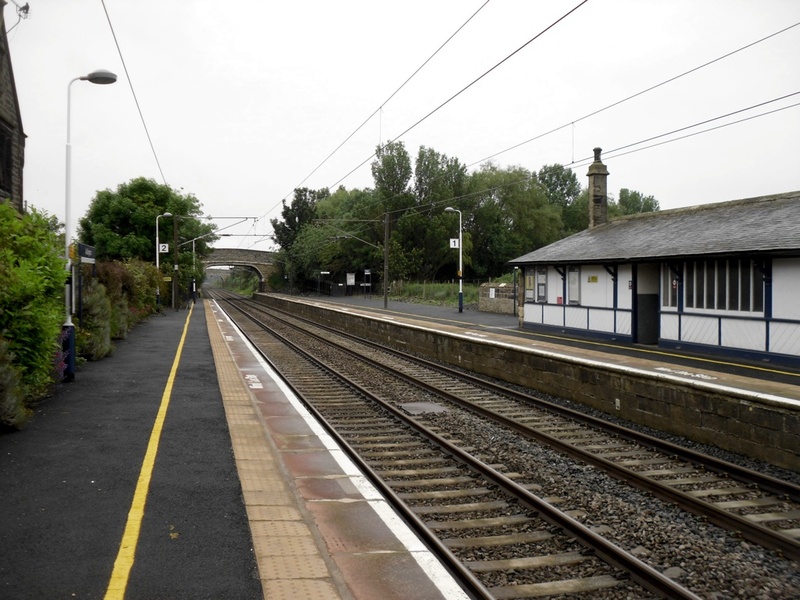 In Danny Boyle’s seminal film Trainspotting, the station was the starting point for the junkie protagonists’ day out in the country. Disclaimer: I am not a heroin addict, and I’m fairly sure Ian isn’t either. I have also never seen Trainspotting, although visiting the station has persuaded me to finally watch it. The DVD hasn’t arrived from Amazon yet, but I have a feeling I will be impatiently sitting through grimy misery, waiting for the 60 seconds of railway footage. 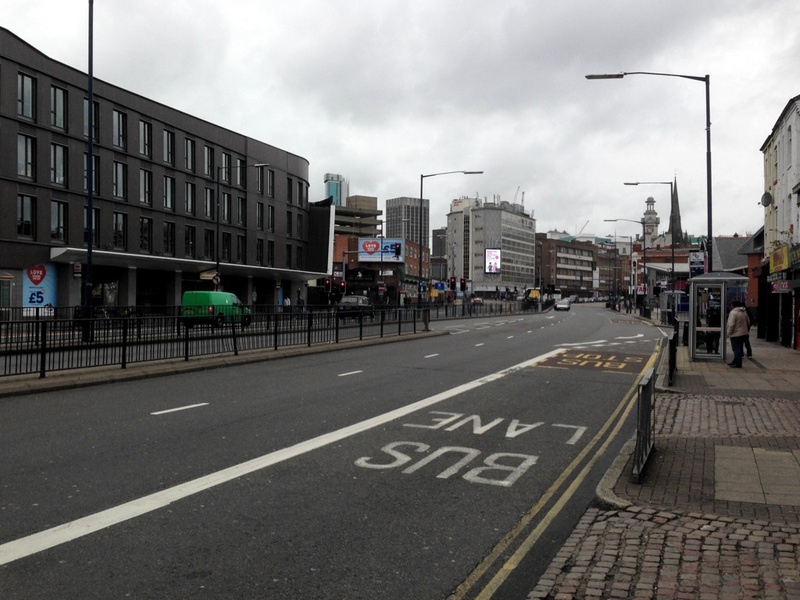 Sorry, Danny Boyle – good job on the Olympics thing, though. If you haven’t already, you may want to read my account of the Caledonian Sleeper over on my main blog, which marks the start of my Scottish trip. Scotland, I think I’m in love with you. It was Tuesday morning, and I was enjoying the first of three days exploring the Highlands in the company of my friend Ian. We had arrived in Fort William a few hours earlier on the Caledonian Sleeper. 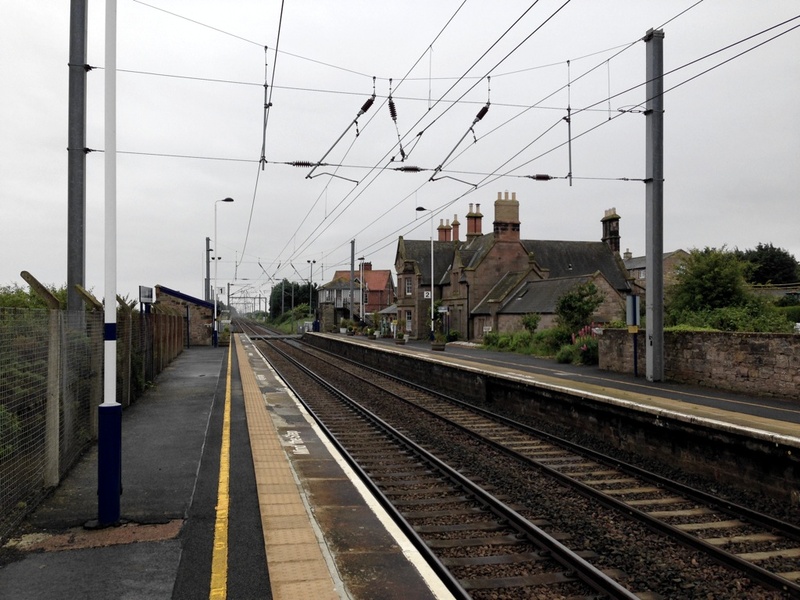 After the overnight journey from London, any other journey seems rather ordinary, but as the ScotRail Super Sprinter chugged its way south – back the way we had come earlier that morning – I really couldn’t have been happier. 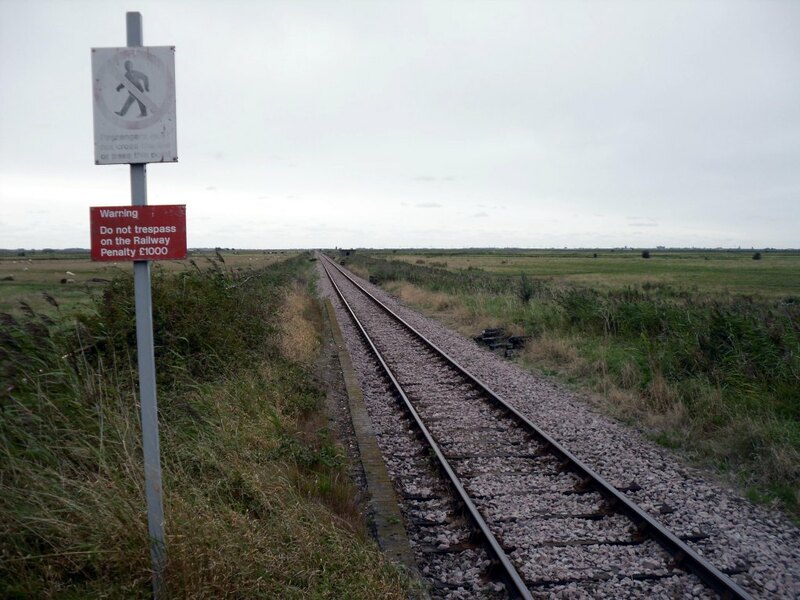 The railways came late to this part of Britain. It wasn’t until 1894 that fearless navvies completed a route through some of the most rugged and remote terrain in the country. Despite the best efforts of Beeching, over a century later there is still a substantial network of routes criss-crossing the Highlands. 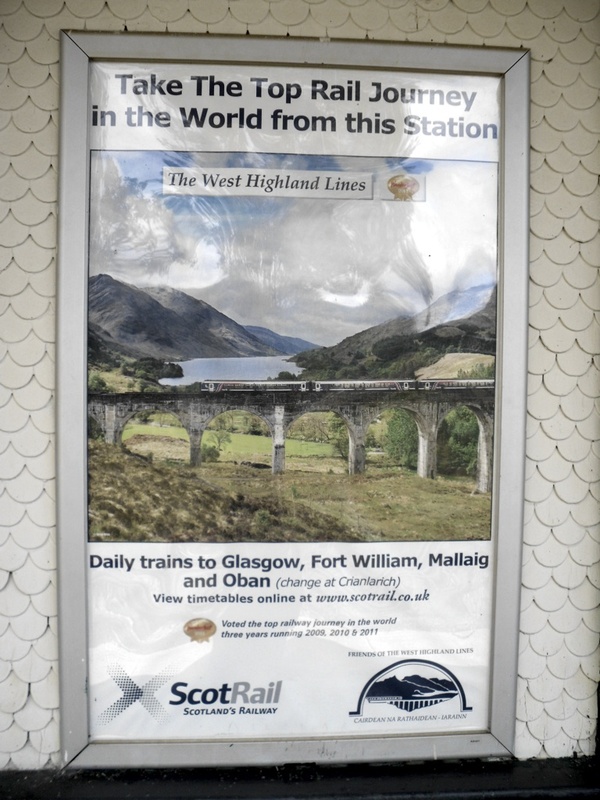 The West Highland Line, linking Glasgow, Fort William and Mallaig, regularly features on lists of the greatest train journeys in the world, and it’s not hard to see why. The scenery is truly spectacular. The line twists and turns, following the contours of the landscape as well as it can. In places the train hugs the side of cliff faces on narrow ledges, in other parts it traces a curve round the shores of lochs. Sometimes, where the engineers could find no other alternative, you find yourself flying across valleys on majestic viaducts. 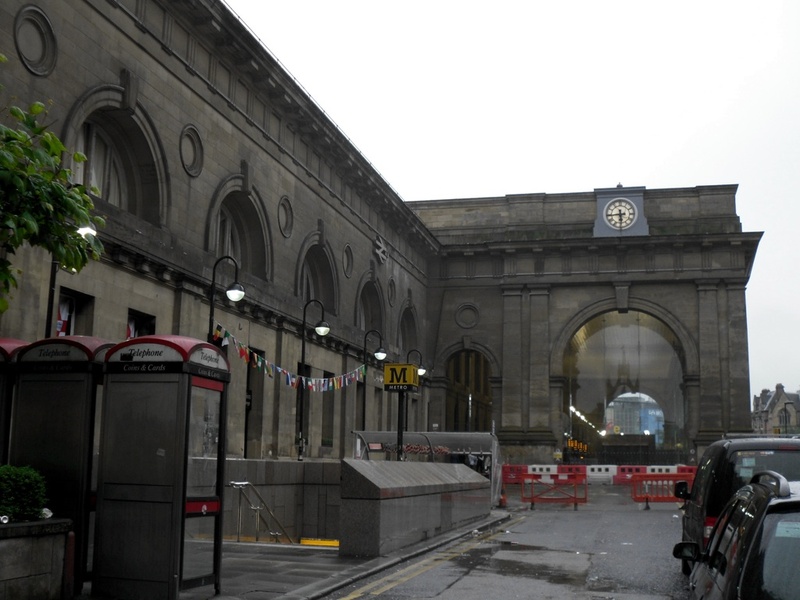 Every station on this route deserves to be visited for this blog, and one day I will come back and do just that. 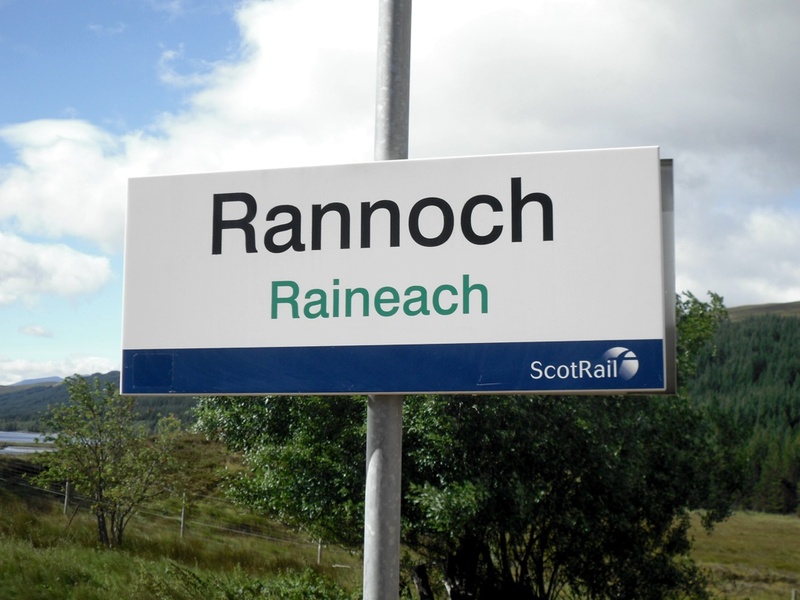 For now though, I had to make do with Rannoch, an isolated station located in the heart of the moor from which it takes its name.